Regent Seven Seas Mariner Refurbishment! 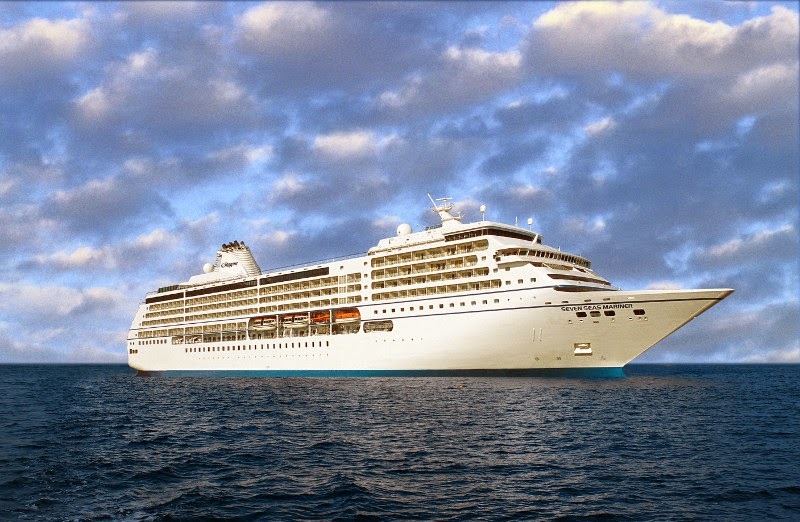 Regent Seven Seas Cruises has just completed a full refurbishment of the Seven Seas Mariner. -The ship's Grand, Master, Mariner, Seven Seas, Horizons and Penthouse Suites received all-new furniture, upholstery, lighting and wall coverings. Each features sophisticated, timeless decor with new sofas and chairs, new dining tables, new lamps and accent lighting. -The ship's two-deck high, state-of-the-art show theatre was renovated with a new LED wall to enhance the on-stage productions, and new carpeting, upholstery, wall coverings, cocktail tables, wall sconces, banquettes and chairs to provide additional comfort for Regent quests. -The Stars Lounge features a dramatic new decor and ambiance and the Horizon Lounge received a distinctive new stone-fronted bar, chic new furnishings, tony carpeting, lustrous wall coverings, and new lighting. Mariner Lounge was reconfigured was reconfigured with a spacious "open floor plan and features a new bar, new stone flooring, lamps and tables. -The Observation Lounge sports a stunning new decor and a dramatic new back-lit bar serves as the room's centerpiece which offers sweeping 270 degree views. -The Canyon Ranch Spa received new steam rooms, new stone flooring in the reception area, refurbished changing rooms and the Fitness Center was equipped with bran new state-of-the-art exercise equipment. -The exterior decks and al fresco lounges received a makeover as well. New teak was installed on the balconies of all 350 suites and the teak decking in common areas was resurfaced and refinished to brand-new condition. The Pool Deck, as well as the ship's outdoor relaxation areas, were furnished with brand new resort-style sofas, chairs, and loungers. The Pool Grill and La Veranda also received eye-catching upgrades with new mosaic tiling, new wall coverings, draperies, lighting and awnings. For more information about Regent Seven Seas Click Here.